All drivers have been updated. I like. I have been using iobit driver booster for years but thought I could try this out. I was skeptical as I thought the amd graphical driver it said needed updating was not the one I know I have. It also identified a need to update the Atheros bluetooth driver. Graphic card installation was interrupted with amd error 182, for failing to correctly identify the hardware. Never had such issues with Iobit driver booster, free or giveaway pro versions. Without compatible drivers for your hardware, your computer may not work normally. Old and outdated drivers may lead you to a lot of issues without you realizing. It can cause issues like performance degradation, unstability, crashes, freezes, reboots, sleep and hibernation issues up to Blue Screen of Death errors. Updating drivers manually is not an easy task when you do not know which drivers are compatible, and which ones are latest or stable. It is also difficult to find a reliable source for downloading drivers, as faulty and incorrect ones can lead to some serious trouble. This is the reason why third-party automatic driver updater softwares came into existence. There are many available, but not all of them are reliable and effective at doing their job. 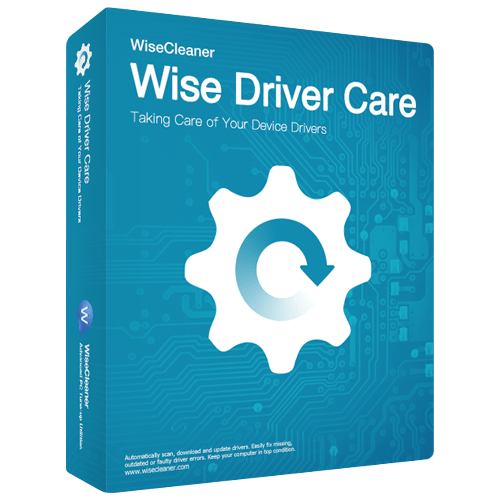 Wise Driver Care Pro is a lightweight software application, designed to help you update drivers on your PC, and save you the headache and time needed to look for the correct website and find the right driver package for your PC. It helps you identify correct drivers, download them, and install them in matter of just a few clicks. The installer size is ~7MB and the installation process is simple and straightforward, taking no time at all to complete. The application comes pre-registered and activated, so you can start using it as soon as the installation completes. After launching it, you can straightaway hit the big green ‘Check up’ button, to start scanning for any driver updates and issues. When the scan completes, it highlights the drivers that need to be updated. It also displays driver residual files that are hogging up space on you drive. The UI of the applications is simple, clean, and intuitive. It is divided into four tabs, namely PC Checkup, Rescue Center, Hardware Detection, and Toolkit. The first tab allows you to scan for driver updates, issues, and residual files that might have been left behind when updating drivers. The second tab allows you to backup and restore drivers, just in case a new driver causes some issue to the system, this can come in handy. ‘Hardware Detection’ tab scans for and shows hardware info of your PC like Processor, Memory, Hard Drive, Video Card, Motherboard, and more. This info can be exported too, and the application rates your PC hardware and gives you score, which can be compared to other PCs. The last tab, let’s you visit support center, and fix common problems caused by drivers like no sound, and network failure. – Clean and simple UI, designed for ease of use. – Scan and update drives easily in a few clicks. – Creates restore points before driver updates. – Fix common issues like No Sound and Network Failure. – Backup & Restore Drivers. – Clean Up Driver Residue. – Download speeds of drivers are fast. – Huge driver database with support for over 600,000+ devices. – PC hardware info and scores based on it. – Failed to update a few drivers as wrong driver packages were downloaded, usually happens when updating video card drivers. – No scheduled driver updates, or updating when system is idle. – Driver packages are larger in size compared to other similar applications, due to old compression method. Wise Driver Care Pro is a powerful and reliable driver update application, that comes with a big enough database, faster download speeds, and efficient update process. It makes sure you are always on the safe side by creating restore points automatically. The application runs smoothly, without any lag or crashes. System resource usage is low to moderate too during the run. It is definitely recommended.